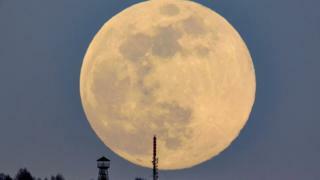 A super worm moon, the last supermoon of 2019, has been observed around the world. 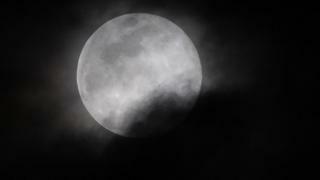 According to National Geographic, the names for full moons often come from traditional Native American tribes. The super worm moon's name was chosen as worms are said to emerge from the soil around the time of the spring equinox. 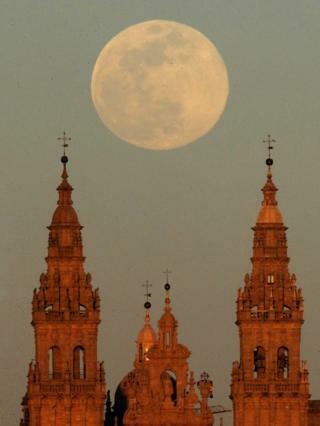 The coincidence of a full moon with the spring equinox is rare. 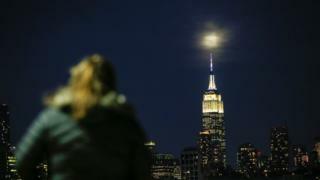 This year's super worm moon is the closest to the spring equinox since 2000. 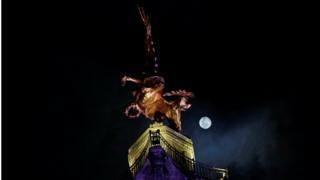 In the image above, the super worm moon can be seen rising over the Angel of Independence monument in Mexico City. A view of the super worm moon in Budapest, Hungary (above). 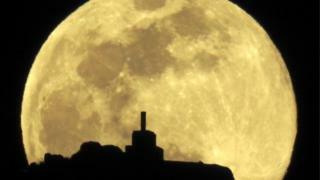 The last supermoon was in February and was named a "super snow moon". A view of the super worm moon over Mount Pico Sacro in Spain.